You can start this program as soon as you are ready! Improve swimming skill – the course develops your skill by giving you a range of fundamental drills at the right time in your development. Develop fitness – the course is structured in 4 week blocks. Your fitness will develop through progressive overloading followed by recovery. Develop swim strength – once your endurance and skill has got a head start, the course sessions will include elements to make you stronger. Use the next 12 weeks to become a different swimmer without the distraction of priority races. You HAVE to make the most of this time. Make a change. Don’t waste these 12 weeks! Use the time your have AND this course to make a change! REFUND GUARANTEE: if you don’t think it will work for you we will give you your money back if you tell us within 30 days! 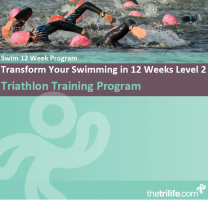 This program is for triathletes that wish to improve their triathlon swim times. There are 2 levels of program to follow but both require you to get to the pool 4 times a week – can you do it? Level 1 swimmers will be currently swimming 400m in more than 8 mins – you will start with 4 sessions of 1200-1600m. Level 2 swimmers, swimming 400m in lessthan 8 mins, will start with 4 sessions of 1800 – 2500m. Sessions by email – You will receive your sessions every 4 weeks by email as pdf files. Video – Bi-weekly emails that include HD video clips on what to do. Sessions – No more guesswork! 4 structured sessions every week and monitoring every 4 weeks. You are not alone – Join our Facebook group of other Transformers! Who will see the biggest improvement? Swim stroke analysis – 20% discount on Stroke Analysis Sessions at our Swim Stroke Clinic in Kent. Focus is on Balance and Streamlining. These are the fundamental elements of a good swim stroke. For Level 1 swimmers the focus will be on Breathing and Kicking. 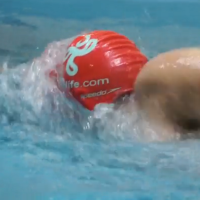 For Level 2 swimmers focus is on Catch and Pull. Both levels include elements of strength development. Level 1 swimmers will be begin to develop their Catch and Pull, while continuing to work on streamlining and developing strength. Level 2 swimmers continued focus on Catch and Pull but with emphasis on strength and speed. TRANSFORM YOUR SWIMMING – £65 as one off payment with a 30 day money back guarantee.